Mrs BVPete decided to take a bit of a road trip today to pick up a few caps. The skies were a bit threatening this morning but the rain stayed away during the trip to this BCP, that would change later as we headed further south. We parked beside the cap and I clambered up the very steep ditch to get the numbers and the photo. Then it was off to the Crowsnest Pass and some major rain. 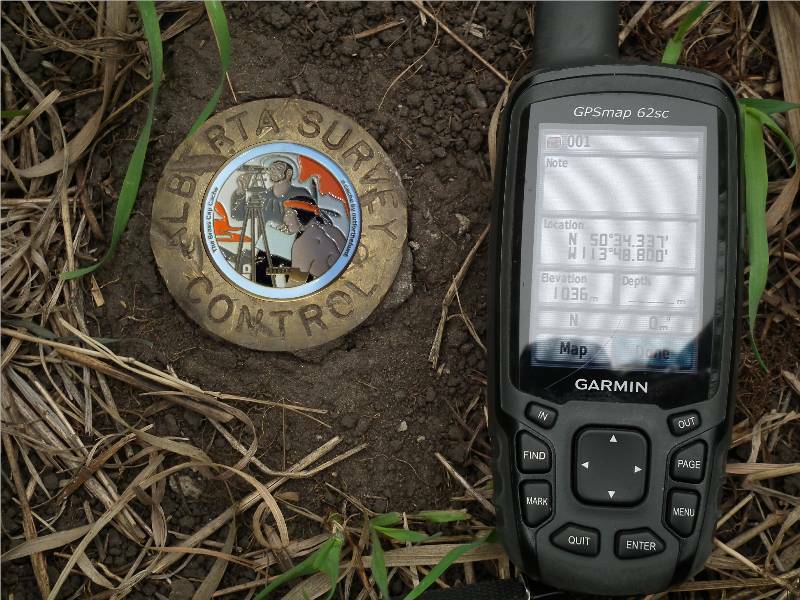 Thanks for posting this survey marker for your Brass Cap page ofth, much appreciated. Mrs BVPete waits in the car.